These fluffy looking bugs are one of the most notorious pests. They might not be hard to spot but they’re hard to get rid of – and they can seriously damage your houseplants! Mealy Worms feed off of plant sap with mouthparts, called stylets, that they insert into the stem and leaf joints. This can damage your plants in a number of ways. 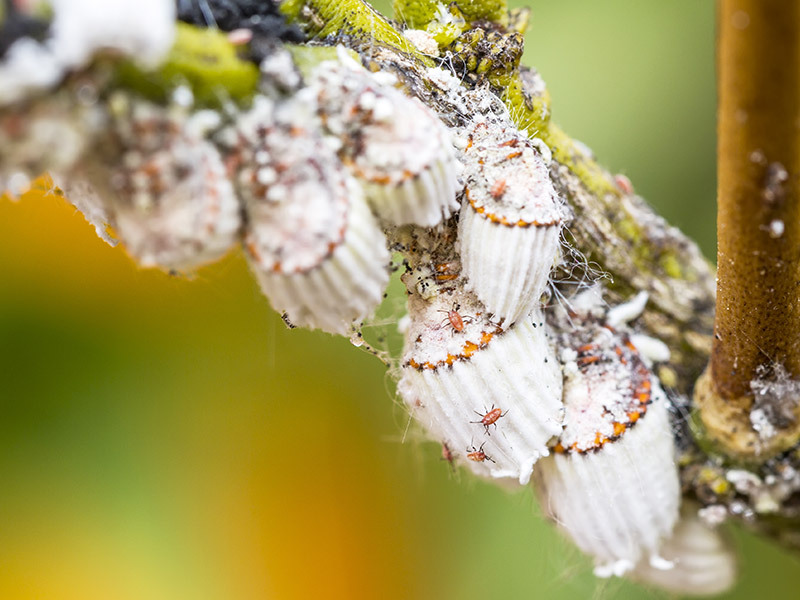 As they feed, mealybugs secrete a sticky substance that clings to leaves and encourages the growth of sooty mould. This mould is black and inhibits photosynthesis, hindering plant development. The substance that mealy worms secrete is also toxic. Already weakened by waning sap supplies, plants will suffer from distorted growth and premature leaf drop, while developing yellow spots on the leaves. And in the event of a large infestation, mealybugs can kill the plant. These bugs usually target the underside of leaves, where the leaf attaches to the stem. They’re tiny, averaging between 1 – 4 millimetres long, and oval in appearance, covered in a white waxy coating. If they have infested your plants, they will look like tiny white cotton balls.